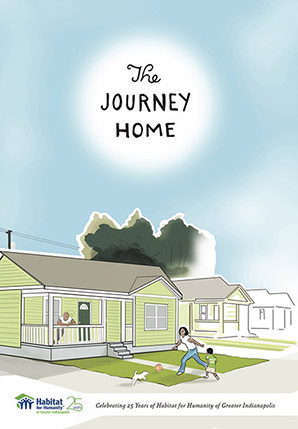 This book shares some of the memories and journeys of homeowners, sponsors, volunteers, and founders who have been a part of the Habitat for Humanity in Greater Indianapolis for the last 25 years. We have been able to provide over 400 homes for low income families locally, and we had the privilege to hear countless stories from the families about the power of homeownership. In the end, the definition of home means something deeper than any quantifiable number we could track.